Our Fun Shoots resume this Sunday, September 9, 2012, after the summer off, come on out and have some fun. You don't have to be a member of DCFS to participate, $5 and a box of 25 target loads is all you need. Not to be a wise guy but dont you need a shotgun also? (09-08-2012, 09:18 AM)das Wrote: Not to be a wise guy but dont you need a shotgun also? Actually no, it's better if you have your own, but if you've never tried (or own) a shotgun, we'll let ya use one of ours for the shoot. All ages and experience levels are most welcome at our shoots. I know we have a 20 and a 12 gauge, think we may even have a 410 available for the youngsters. Sunday, October 14, 2012 is the next fun shoot, bring $5 a box of 25 shells (no larger than #8, no high brass) and have some fun. Only two shoots left this season, don't miss out. soberbyker;19868 Wrote: Sunday, October 14, 2012 is the next fun shoot, bring $5 a box of 25 shells (no larger than #8, no high brass) and have some fun. 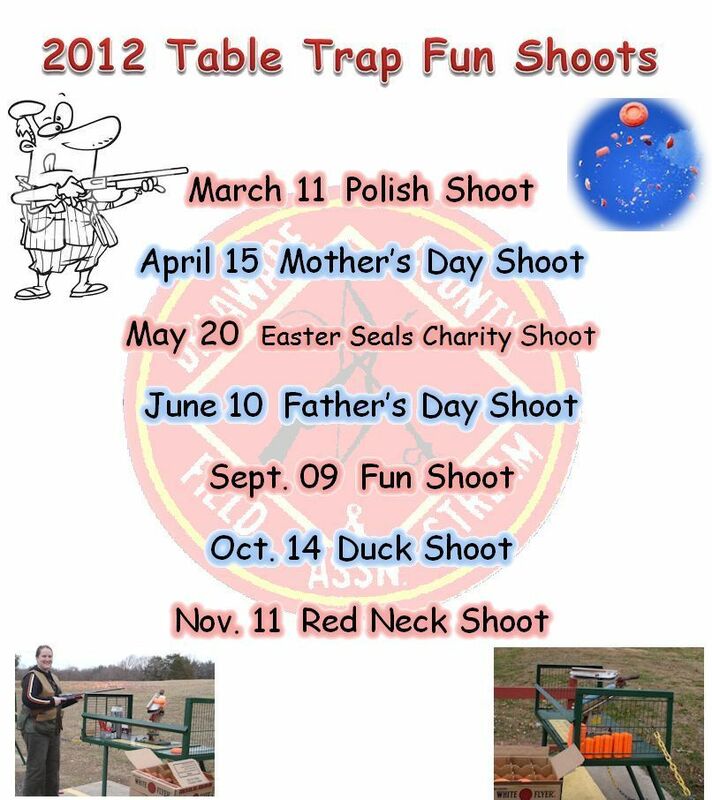 Last Fun Shoot of the season tomorrow 11-11-12 at noon, come on out and have some fun.